All three Getter robots are finally aligned! 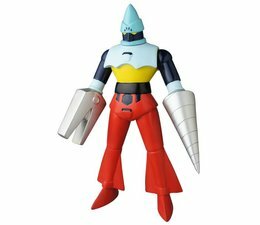 This Hashimoto Ganguten Sofubi Vinyl Figure features a new color deco and comes armed with a crushing Getter Arm and Drill Storm. 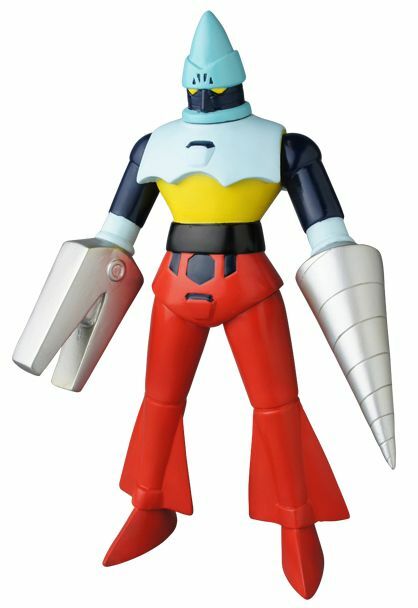 Help defeat the Dinosaur Empire with this Getter 2 Hashimoto Ganguten Sofubi Vinyl Figure! Measures about 10-inches tall. The Getter 2 (Hashimoto ganguten) by AbeToru stands 10-inch long (25 cm) and is made from high Quality Japanese Vinyl and packed in a nicely designed Header Bag. All applications & Sprays are done by and so your figure can slightly be different from the shown item.